If you’re planning on working in the Film Industry, regardless of your department, it’s essential that you have a pair of waterproof boots. Film jobs will often require you to be exposed to the elements for 14 to 16 hours at a time, so filming in heavy rain is inevitable. 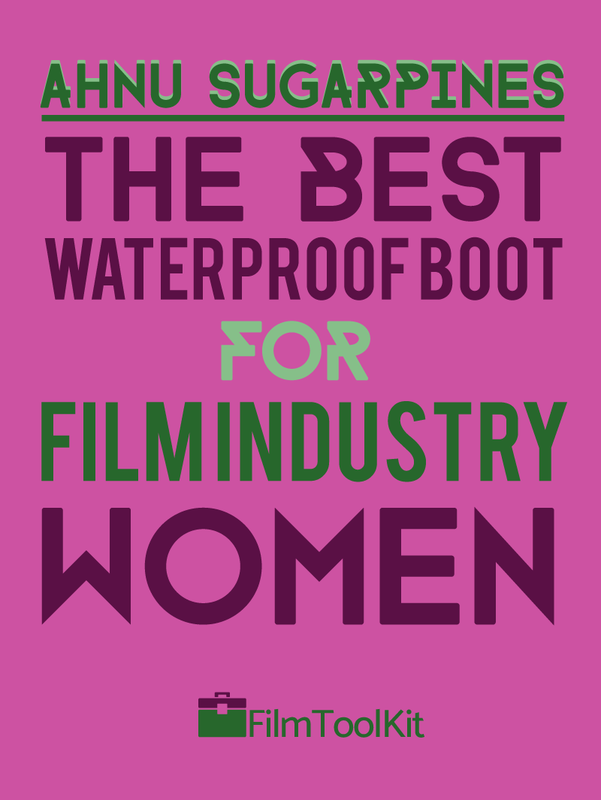 We recently recommended the Ahnu Sugarpine Waterproof Women’s Boot for Women working in the film industry. Even if you aren’t working in film, these are a very strong choice if you are in the market for a waterproof boot, and we’re going to take an in-depth look at them to explain why! This is the primary reason why we are recommending these boots. These boots aren’t just water resistant, they are full blown waterproof. Several reviews and videos have shown the boots being submerged in rivers all the way up to the ankle. The socks always remain completely dry. They’re great for hiking and other activities in nature, but they also are an excellent choice for women who deal with hard weather conditions in their work. Snow, rain, mud and sand are all easily kept outside the boot. Obviously this means they’re great for any film crew member, but our research has shown us that they are very popular among USPS officers, travelers, and many other workers that spend time outdoors. They’re even great at keeping your feet warm out in the snow if you have some wool socks! The ankle support is excellent, the heel is around an inch high to support your feet, and the boots are remarkably breathable for how waterproof they are. The Ahnu Sugarpine Waterproof Boot also features Ahnu’s Numentum™ technology. This tech is engineered to center and guide your foot to promote an efficient, stable, and balanced stride. Whether or not it does that is highly subjective, but across many reviews users have praised the shoe for its comfort and balance, so the tech must be doing something right! Many reviewers have stated that their pairs lasted between 3-5 years. Some people complained about having holes within a year, but we think that’s really to be expected with any pair of shoe you don’t take care of. The fact that it has the potential to last 5 years says a lot in our opinion, and as long as you aren’t scraping them against sandpaper every day, they will likely hold up for you. The design and color options really help to set this boot apart from the competition. We like the Astral Aura the most. The boot will work better with those who have narrow feet. Many reviewers with wider feet have praised the boot, but some have complained that it ran a bit narrow for their feet. Our men’s recommendation may work better for women with wider feet. They also run a tiny bit small, so if you are on the fence about buying a smaller size or a larger size, go with the larger one. Depending on your feet you might need to break them in a little bit! In conclusion, the Ahnu Sugarpine Waterproof Women’s Hiking boot is a very high quality, stylish option for those seeking comfortable waterproof footwear. Despite a few scattered complaints, the general consensus is that they are very well made and will last you for years to come.